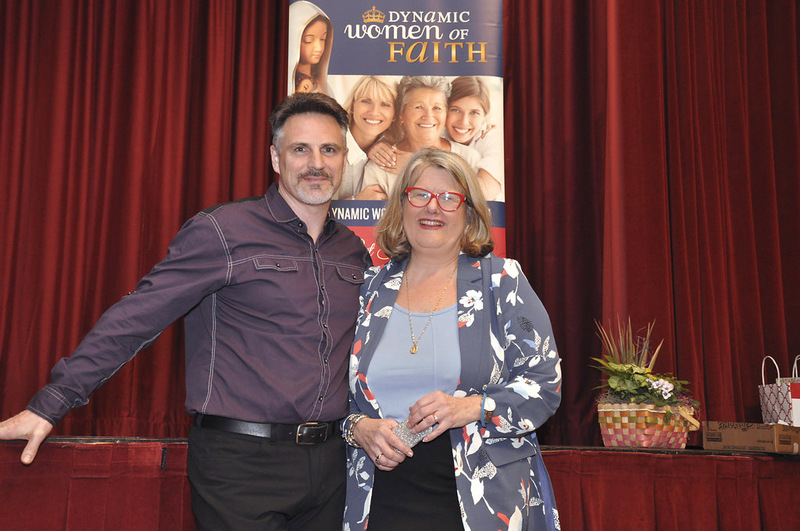 This past Saturday, I had the pleasure of attending the ninth annual Dynamic Women of Faith conference in Mississauga, Ontario. The founder of the Dynamic Women of Faith and I Love My Catholic Moms Group ministries, Dorothy Pilarski, is truly a dynamic woman of faith. Through the amazing line up of speakers that Dorothy and her team chose for the conference that question in answered. Ann Jamieson spoke to us about “A Recipe for Faith”, using the analogy of both a recipe and vegetable garden to help us reflect on what elements of our faith life we need to change, renew, prune and pass on. 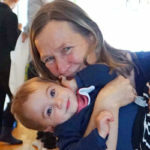 Geoff and Jennifer Cauchi reminded us of the dangers of the New Age movement that seeps in to our everyday lives, so subtly and seemingly harmless. Satan knows, that we are drawn to things that are good, because we were made in the image and likeness of God. So, when Satan presents something to us, he makes it appear good and harmless. We must be discerning and prayerful to be aware of what could endanger our faith. Sr. Helena Burns, shared her energetic and enlightening talk on being a “Digital Catholic”. Do you know the Church has an official teaching on the use of media? Like many things in the world we live in, media itself is not intrinsically evil. 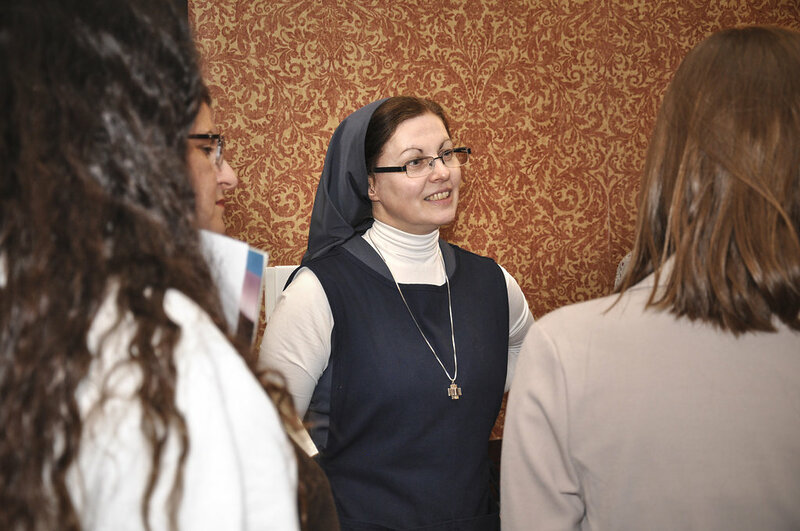 Media can be used for good and #medianuns are using media to evangelize the culture. There is so much more I could say about a few of the other speakers and the booths on display that day. However, I will conclude with the two main inspirations that came to me. First, there is a supernatural element, that one can scarcely put into words. I experience this whenever I am in a room filled with people who are in love with Jesus, there is an energy, a joy, and a great sense of peace and belonging. 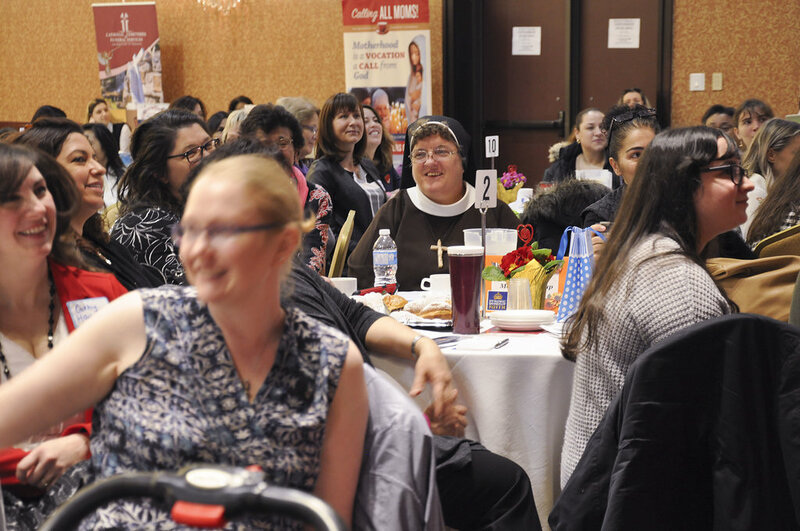 Whether or not you feel called to start up a Mother’s Group in your parish, attending a conference and hearing from the other women involved in these two ministries – is beautiful and encouraging. Initially, I wanted to list off all the different apostolates that I am involved in with my parish and my work in the Regnum Christi Movement. I realized that all those are important only because Christ has called me to serve in that capacity. However, what really makes you and me a dynamic woman of faith, is how we witness. It’s how we live our faith every minute of every day. How am I being a saint? It’s in the way I serve my family, my husband, my children, my siblings, my friends. 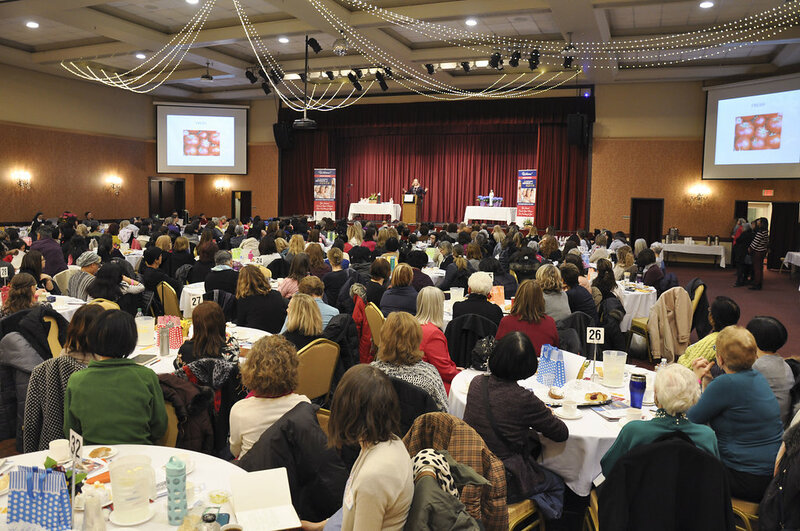 The Dynamic Women of Faith conference is held annually in March. If you have never attended, I hope to see you there next year! 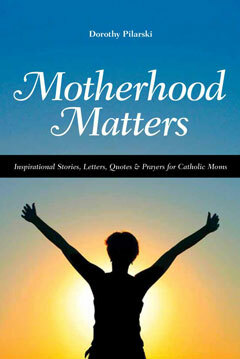 In the meantime, to learn more about Dynamic Women of Faith or I Love My Catholic Moms Group ministries click on any of the links below. The Dynamic Women of Faith ministry has a tag line, Get Inspired. Discover Your Mission. Do Something for God. After a conference like this many of been inspired, let’s now pray that more women take the time to discern their mission and do something for God!